School starts back in less than two weeks. Summer this year was only about ten weeks long. We had lots of scheduled events and even some unscheduled ones that leaned hard on the fast-forward button of life. My oldest two girls are going horse riding for the second day in a row tomorrow. I let them go again because summer is drawing to a close, learning will soon replace riding for several months. If someone had asked me on a late August day in the 90’s what I did “all the time” I might reply in several different ways. Swimming with my brother and sisters as soon as the water was warm enough. The pool was our summertime babysitter. Untold hundreds of hours of swimming. Millions of hot dogs on square plastic plates with a side of Macaroni and Cheese. Watching TGIF shows on Friday nights and eating Little Caesars pizza. The good kind. The square pizzas with the cheese fried into the corners. Drinking a glass full of coke with a couple of gigantic ice cubes and a layer of pizza grease floating on the surface because I didn’t stop to wipe my face between eating and drinking. Riding horses and bicycles at the State Park near our house. Camping in the front half of the horse trailer under an air conditioner that leaked condensation. I remember one night during a thunderstorm especially clear. I was curious if the lightning hitting the ground near our campsite would destroy one of the tall pine trees and crush our trailer. The spidery purple flash and thunderous boom made it a risk I was willing to accept. Playing Nintendo with my mom because she was addicted to Mario 3 and my TV was the only color TV that would hook up to the Nintendo. Going squirrel hunting after school during my freshman and sophomore year. In a time when a shotgun in a truck was just a way to save time and not have to stop back by the house. Never thought twice about it. I remember a summer when my cousin came to visit every day. It seemed like every day. We played GI Joes from breakfast until bedtime. We had a cassette tape of Bart Simpson singing “Do The Bartman”. We adventured in creek beds and streams and found a couple of places where people dumped old junker cars. Friday nights in middle school were spent at my friend Michael’s house. Sometimes we played Gin with his grandmother. Sometimes we walked the country roads and got to experience some dangerous independence. Wild dogs and/or sasquatch were always at the edge of the streetlights. In college, I was working at Red Lobster and would get finished with work late. Supermom would meet me after work and we would go dancing. Several times her dad would join us and we always had the best time. Cheap beer and crowds of mismatched people. All of these things I can remember had a first and a last time. The first is usually memorable but the last one sneaks by you. Disguised as one of the times in the middle, it is over before you even know what has happened. I could recreate some of the events but it would be for nostalgia. You can’t capture an old memory. Memory has too many pieces. Too many moving parts. They boil down to a specific feeling for each and every instance. A smell. A feeling. A song. A swirling picture in your mind. I hope my girls are taking note of the things they enjoy in a routine. The routines that seem infinite until you look back and tally the actual count. Years, weeks, days, and hours. Measures of time. They all have a finite number. We eat them like candy and spend them like quarters at an arcade. I spend a few of my slices of time tucking them into bed or giving out random hugs. Listening to creative ideas and encouraging them to try new things. I do those things some-of-the-time. Tonight, my girls are whisper-yelling in their beds about an hour past when they should be fast asleep. I go out about every fifteen minutes and threatened to bring down the thunder. I never do. They will eventually fall asleep. Judy Cornbread is sleeping on the foot of their bed because the girls are her pack. Night unwinds in a usual way. We do this all the time. All the time, for the Summer 2017, was ten weeks. I remember knowing every inch of the yard and barn. Both seemed to have a life and personality of their own. Oh that’s a good one. Get on My Email List! 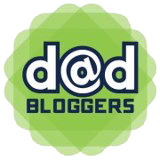 Enter your email address to follow this blog and you wont have to rely on Facebook to decide what you read. My dream like musings,fears and fantasies whilst awake. Food for thought is a godsend.